This list proves that Muslims are the evil source in the world. This list is also proves how the Jews are "responsible" to all the troubles in the world. There are over than 35 arm clashes that Muslims involved around the world and Muslims murdered over than 270 million people since Muhammad founded Islam. The Muslims gave nothing to the world, but jihad (war), death and destruction!!! Islam is NOT religion, but a death cult!!! * DATE STARTED/FIRST ACTIVE: Established by Osama bin Laden in the late 1980s. * GOALS: Establish a pan-Islamic Caliphate throughout the world by working with allied Islamic extremist groups to overthrow regimes it deems "non-Islamic," and expelling Westerners and non-Muslims from Muslim countries. * STRENGTH: May have several hundred to several thousand members. * OPERATIONAL LOCATIONS: Al Qaeda has a worldwide reach with cells in a number of countries, and benefits from its ties to Sunni extremist networks. Bin Laden and his top associates reside in Afghanistan, and the group maintains terrorist training camps there. * AFFILIATIONS/LINKS: Serves as the umbrella organization for a worldwide network that includes many Sunni Islamic extremist groups, such as Egyptian Islamic Jihad, some members of al-Gama'at al-Islamiyya, the Islamic Movement of Uzbekistan, and the Harakat ul-Mujahidin. * COMMENTS: Bin Laden is the son of a wealthy Saudi family, and uses his inheritance to finance the group. Al Qaeda also operates moneymaking front organizations, solicits donations, and illicitly siphons funds from donations to Muslim charitable organizations. * COMMENTS: Hezb-e-Islami was founded as an anti-Soviet militia in the 1980s. It later turned its guns on other Mujahidin groups in the civil war of the 1990s. After 2001 the organisation split into a legal political entity, which is the largest bloc in parliament, and a militant wing loyal to Mr Hekmatyar, who has been in hiding ever since. * DATE STARTED/FIRST ACTIVE: 1992. * GOALS: GIA aims to overthrow the secular Algerian regime and replace it with an Islamic state. * STRENGTH: Unknown, probably several hundred to several thousand. * AFFILIATIONS/LINKS: Algerian expatriates and members of the Salafi Group for Call and Combat (GSPC) splinter group abroad, many of whom reside in Western Europe, provide financial and logistic support. In addition, the Algerian government has accused Iran and Sudan of supporting Algerian extremists. * COMMENTS: The GSPC splinter faction appears to have eclipsed the GIA since approximately 1998 and is currently assessed to be the most effective remaining armed group inside Algeria. A U.S. Designated Foreign Terrorist Organization (FTO) listed as "active" during 2000. * DATE STARTED/FIRST ACTIVE: 1996. * GOALS: Overthrow the Algerian government and impose fundamentalist Islamic theocracy. * STRENGTH: Unknown; suspected to be several hundred to several thousand. * AFFILIATIONS/LINKS: Algerian expatriates and GSPC members living abroad. The Algerian government has accused Iran and Sudan of supporting Algerian extremists. The GSPC may also receive support from the Armed Islamic Group (GIA) network in Europe, Africa and the Middle East. Some GSPC members in Europe are suspected of having ties with other North African extremists sympathetic to al Qaeda. * COMMENTS: GSPC is a splinter group of the GIA, and has gained popular support through its pledge not to attack civilians inside Algeria (although it has not kept the pledge). It was designated a Foreign Terrorist Organization (FTO) on March 27, 2002. * GOALS: The goal of HUJI-B is to establish Islamic rule in Bangladesh. * COMMENTS: HUJI-B was accused of stabbing a senior Bangladeshi journalist in November 2000 for making a documentary on the plight of Hindus in Bangladesh. HUJI-B and its detained leader, Mufti Hannan, are suspected in the assassination attempt in July 2000 of Bangladeshi Prime Minister Sheikh Hasina. * DATE STARTED/FIRST ACTIVE: Late 1970s. * GOALS: Overthrow the Egyptian government and replace it with an Islamic state; attack U.S. and Israeli interests in Egypt and abroad. * STRENGTH: Unknown, suspected to be several hundred. * OPERATIONAL LOCATIONS: Mainly Cairo, but has a network outside Egypt, including Yemen, Afghanistan, Pakistan, Sudan, Lebanon, and the United Kingdom. * AFFILIATIONS/LINKS: Close partner of Osama Bin Laden's al Qaeda; Iran. May get some funds via various Islamic non-governmental organizations, cover businesses, and criminal acts. * COMMENTS: The original Jihad was responsible for the 1981 assassination of Egyptian President Anwar Sadat. * GOALS: The IG's primary goal is to overthrow the Egyptian government and replace it with an Islamic state, but certain group leaders also may be interested in attacking U.S. and Israeli interests. * STRENGTH: Unknown. At its peak, the IG probably commanded several thousand hard-core members and a like number of sympathizers. The 1998 cease-fire and security crackdowns following the attack on tourists in Luxor in 1997 probably have resulted in a substantial decrease in the group's numbers. * OPERATIONAL LOCATIONS: Operates mainly in the Al-Minya, Asyu't, Qina, and Sohaj Governorates of southern Egypt. Also appears to have support in Cairo, Alexandria, and other urban locations, particularly among unemployed graduates and students. Has a worldwide presence, including Sudan, the United Kingdom, Afghanistan, Austria, and Yemen. * AFFILIATIONS/LINKS: Unknown. 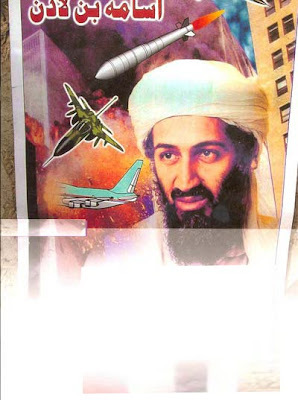 The Egyptian government believes that Iran, bin Laden, and Afghan militant groups support the organization. Also may obtain some funding through various Islamic non-governmental organizations. * COMMENTS: Al-Gama'a claims responsibility for the attempt in June 1995 to assassinate Egyptian President Hosni Mubarak in Addis Ababa, Ethiopia. The group's spiritual leader, Shaykh Umar Abd al-Rahman, is incarcerated in the United States. A Designated Foreign Terrorist Organization (FTO) listed as "active" during 2000. * OPERATIONAL LOCATIONS: Southern India. * COMMENTS: Radical Indian Muslim group believed responsible for the Coimbatore bombings in Southern India in 1998. * GOALS: Seeks for Kashmir's territories to become part of Pakistan as well as the islamization of Kashmir. * STRENGTH: 1500- 2000 militants. * OPERATIONAL LOCATIONS: Jammu, Kashmir, North India. * AFFILIATIONS/LINKS: Afghan Mujahideen groups such as Hizb-e-Islami, under which some of its cadre is alleged to have received arms training. * COMMENTS: The Hizbul Mujahideen has conducted a number of operations against Indian military targets in Jammu and Kashmir. The group also occasionally strikes at civilian targets in Jammu and Kashmir but has not engaged in terrorist acts elsewhere. It appears that this organization has a very narrow agenda that only uses it’s resources for the total control of Kashmir. Foreign mujahideen fighters have also enlisted in this cause as they have in Islamic confrontations elsewhere around the globe. * GOALS: Seeks the establishment of an Islamic caliphate spanning Indonesia, Malaysia, southern Thailand, Singapore, Brunei, and the southern Philippines. * OPERATIONAL LOCATIONS: Southern Asia, Indonesia, Malaysia, southern Thailand, Singapore, Brunei, and the southern Philippines, Pakistan. * COMMENTS: The group's most recent high-profile attack occurred in Bali on October 1 and left approximately 22 persons dead. Other major JI attacks include the September 2004 bombing outside the Australian Embassy in Jakarta, the August 2003 bombing of the J. W. Marriott Hotel in Jakarta, and the October 2002 Bali bombing. The 2002 Bali attack, which killed more than 200, remains one of the deadliest terrorist attacks since 9/11. In June 2003, authorities disrupted a JI plan to attack several Western embassies and tourist sites in Thailand. In December 2001, Singaporean authorities uncovered a JI plot to attack the U.S. and Israeli Embassies and British and Australian diplomatic buildings in Singapore. JI is also responsible for the coordinated bombings of numerous Christian churches in Indonesia in December 2000 and was involved in the bombings of several targets in Manila the same month. JI also provided operatives to al-Qaida for its 2002 plot to use airliners for attacks on targets in the United States. 12. NAME: Abu Nidal organization (ANO) a.k.a. Fatah Revolutionary Council, Arab Revolutionary Brigades, Black September, and Revolutionary Organization of Socialist Muslims. * DATE STARTED/FIRST ACTIVE: Split from the PLO in 1974. * GOALS: Establishment of a Palestinian State. * STRENGTH: A few hundred plus limited overseas support structure. * OPERATIONAL LOCATIONS: Its leader, Sabri Al-Banna, relocated to Iraq in December 1998, where the group maintains a presence. Has an operational presence in Lebanon, including in several Palestinian refugee camps. Authorities shut down the ANO's operations in Libya and Egypt in 1999. Has demonstrated ability to operate over wide area, including the Middle East, Asia, and Europe. Has carried out terrorist attacks in 20 countries, killing or injuring almost 900 persons. * AFFILIATIONS/LINKS: Has received considerable support, including safe haven, training, logistic assistance, and financial aid from Iraq, Libya, and Syria (until 1987), in addition to close support for selected operations. * COMMENTS: Financial problems and internal disorganization have reduced the group's activities and capabilities. A Designated Foreign Terrorist Organization (FTO) listed as "active" during 2000. 13. NAME: Mujahedin-e Khalq Organization (MEK or MKO) a.k.a. The National Liberation Army of Iran (NLA, the militant wing of the MEK), the People's Mujahidin of Iran (PMOI), National Council of Resistance (NCR), Muslim Iranian Student's Society (front organization used to garner financial support). * DATE STARTED/FIRST ACTIVE: 1960s. * GOALS: The MEK continues to conduct a worldwide campaign against the Iranian government, which stresses propaganda and occasionally uses terrorist violence. * STRENGTH: Several thousand fighters based in Iraq with an extensive overseas support structure. Most of the fighters are organized in the MEK's National Liberation Army (NLA). * OPERATIONAL LOCATIONS: In the 1980s, the MEK's leaders were forced by Iranian security forces to flee to France. Most resettled in Iraq by 1987. In the mid-1980s, the group did not mount terrorist operations in Iran at a level similar to its activities in the 1970s. In the 1990s, however, the MEK claimed credit for an increasing number of operations in Iran. * AFFILIATIONS/LINKS: Beyond support from Iraq, the MEK uses front organizations to solicit contributions from expatriate Iranian communities. * COMMENTS: Formed by the college-educated children of Iranian merchants, the MEK sought to counter what it perceived as excessive Western influence in the Shah's regime. Following a philosophy that mixes Marxism and Islam, the MEK has developed into the largest and most active armed Iranian dissident group. Its history is studded with anti-Western activity, and, most recently, attacks on the interests of the clerical regime in Iran and abroad. A Designated Foreign Terrorist Organization (FTO) listed as "active" during 2000. * DATE STARTED/FIRST ACTIVE: Broke away from the PFLP-GC in mid-1970s. * GOALS: Creation of a Palestinian state. * OPERATIONAL LOCATIONS: Based in Tunisia until Achille Lauro attack, it is now based in Iraq. * AFFILIATIONS/LINKS: Receives support mainly from Iraq. Has received support from Libya in the past. * COMMENTS: After its initial break with the PFLP-GC, split again into pro-PLO, pro-Syrian, and pro-Libyan factions. Pro-PLO faction is led by Muhammad Abbas (Abu Abbas), who became member of PLO Executive Committee in 1984 but left it in 1991. A warrant for Abu Abbas's arrest is outstanding in Italy. A Designated Foreign Terrorist Organization (FTO) listed as "active" during 2000. * DATE STARTED/FIRST ACTIVE: 1991. * STRENGTH: Between 700-1000 militants. * COMMENTS: The group claimed on an Islamic website that it had carried out the attack in which 10 British servicemen died. Videotaped executions of 12 Nepalese construction workers in Iraq in August the same year; and twin suicide bombings at the offices of two main Kurdish political parties that killed 109 Kurds. * GOALS: Take over Iraq. * AFFILIATIONS/LINKS: Receives funding, training, logistics, and material from Iran's Quds Force. * COMMENTS: Not to be confused with the Lebanese militant group Hezbollah. It is said to be an offshoot of the "Special Groups", which are the Iranian backed elements of the Mahdi Army. Katai'b Hezbollah is a separate and independent organization and not part of the Mahdi Army and its Special Groups and Mahdi Army. * COMMENTS: The group, whose spiritual advisor and deputy leader was the Palestinian cleric Abu Anas al-Shami, cited various texts from the Qur'an and the Sunnah of Muhammad that they perceived to be in support of their tactics. It quoted the prophet Muhammad, who said to the people of Mecca when conquering them: "By the one in whose hand the soul of Muhammad is in, I came to you with slaughter" as narrated in the books of Hadith, and quoted Muhammad as saying "Whoever slaughters a non-Muslim sincerely for the sake of Allah, Allah will make hellfire prohibited upon him." 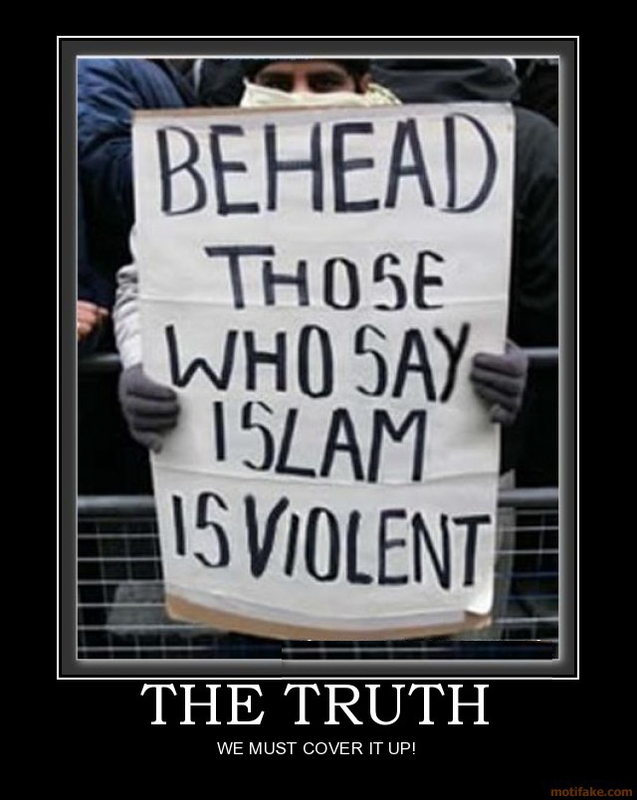 Other verses of the Qur'an call Muslims to fight invading non-Muslims and even behead them, such where Allah says in the Qur'an, "when you meet the non-Muslim, strike their necks." * GOALS: The MEK advocates the violent overthrow of the Iranian regime. * STRENGTH: Over 3000 members. * OPERATIONAL LOCATIONS: Iran, In the 1980s, the MEK's leaders were forced by Iranian security forces to flee to France. On resettling in Iraq in 1987, almost all MEK armed units were stationed in fortified bases near the border with Iran. Since Operation Iraqi Freedom, the bulk of the group is limited to Camp Ashraf, although an overseas support structure remains with associates and supporters scattered throughout Europe and North America. * AFFILIATIONS/LINKS: Before Operation Iraqi Freedom, the group received all of its military assistance, and most of its financial support from the former Iraqi regime. The MEK also has used front organizations to solicit contributions from expatriate Iranian communities. * COMMENTS: The MEK advocates the violent overthrow of the Iranian regime. The MEK philosophy mixes Marxism, feminism, nationalism, and Islam. The group emerged as one of several political movements seeking to unseat the Shah in the 1960s. After Khomeini's regime arrested most of the MEK leadership a few years after the Islamic Revolution, many members fled to Europe. Saddam Hussein invited the group to Iraq in the late 1980s, where it reformed as a paramilitary organization and conducted several cross-border forays into Iran. A Marxist element of the MEK murdered several of the Shah's U.S. security advisers prior to the Islamic Revolution, and the group helped guard the U.S. Embassy after Islamic students seized it in 1979. Since then, the MEK has conducted terrorist attacks against the interests of the clerical regime in Iran and abroad. * GOALS: Drive the Israeli military and people from the West Bank, Gaza Strip, and Jerusalem and establish a Palestinian state. * OPERATIONAL LOCATIONS: Mainly in the West Bank, but has also claimed responsibility for attacks inside Israel and the Gaza Strip. * COMMENTS: Al-Aqsa Martyrs Brigade is composed of cells of Fatah-affiliated activists that emerged with the onset of the intifadah in 2000. In January 2002, an al-Aqsa member became the first female suicide bomber in the intifadah. The group was designated a Foreign Terrorist Organization (FTO) on March 27, 2002. * DATE STARTED/FIRST ACTIVE: 1969. * GOALS: Achieve Palestinian national goals through revolution of the masses. * OPERATIONAL LOCATIONS: Syria, Lebanon, and the Israeli-occupied territories. * AFFILIATIONS/LINKS: One of the two factions joined with other rejectionist groups to form the Alliances of Palestinian Forces (APF), but broke it off. Has made limited moves toward merging with the Popular Front for the Liberation of Palestine (PFLP) since the mid-1990s. Receives limited financial and military aid from Syria. * COMMENTS: Marxist-Leninist organization founded when it split from the PFLP. Opposed the Israel-PLO peace agreement. * DATE STARTED/FIRST ACTIVE: 1987. * GOALS: Establishing an Islamic Palestinian state in place of Israel. * STRENGTH: Unknown number of hard-core members; tens of thousands of supporters and sympathizers. * OPERATIONAL LOCATIONS: Primarily the occupied territories, Israel. In August 1999, Jordanian authorities closed the group's Political Bureau offices in Amman, arrested its leaders, and prohibited the group from operating on Jordanian territory. * AFFILIATIONS/LINKS: Receives funding from Palestinian expatriates, Iran, and private benefactors in Saudi Arabia and other moderate Arab states. Some fundraising and propaganda activities take place in Western Europe and North America. * COMMENTS: Formed as an outgrowth of the Palestinian branch of the Muslim Brotherhood. Various HAMAS elements have used both political and violent means, including terrorism. 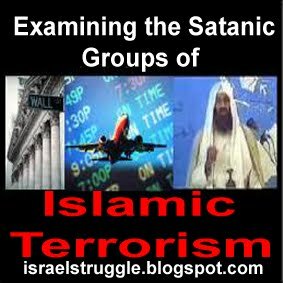 Loosely structured, with some elements working clandestinely and others working openly through mosques and social service institutions to recruit members, raise money, organize activities, and distribute propaganda. Also has engaged in peaceful political activity, such as running candidates in West Bank Chamber of Commerce elections. A Designated Foreign Terrorist Organization (FTO) listed as "active" during 2000. * DATE STARTED/FIRST ACTIVE: 1970s. * GOALS: The creation of an Islamic Palestinian state and the destruction of Israel through holy war. * OPERATIONAL LOCATIONS: Primarily Israel and the occupied territories and other parts of the Middle East, including Jordan and Lebanon. Headquartered in Syria. * AFFILIATIONS/LINKS: Receives financial assistance from Iran and limited logistic assistance from Syria. * COMMENTS: Originated among militant Palestinians in the Gaza Strip during the 1970s. Also opposes moderate Arab governments that it believes have been tainted by Western secularism. A Designated Foreign Terrorist Organization (FTO) listed as "active" during 2000. * GOALS: Oppose Arafat's PLO. * OPERATIONAL LOCATIONS: Europe, Middle East, southern Lebanon, Israel, West Bank, and Gaza Strip. Headquartered in Damascus with bases in Lebanon. * AFFILIATIONS/LINKS: Receives logistic and military support from Syria and financial support from Iran. * COMMENTS: Known for cross-border terrorist attacks into Israel using unusual means. A Designated Foreign Terrorist Organization (FTO) listed as "active" during 2000. * DATE STARTED/FIRST ACTIVE: Early 1990s. * GOALS: Overthrow the Lebanese government and thwart anti-Islamic influences in Lebanon. * STRENGTH: About 300 fighters. * OPERATIONAL LOCATIONS: Primary base of operations is the ‘Ayn al-Hilwah Palestinian refugee camp in southern Lebanon. * AFFILIATIONS/LINKS: Overseas Sunni extremist networks and Osama bin Laden’s al Qaeda. * COMMENTS: A Lebanon-based group composed mainly of Palestinians, Asbat al-Ansar adheres to an extremist interpretation of Islam and justifies the use of violence against civilian targets. The group raised its profile in 2000 with a rocket-propelled grenade attack on the Russian Embassy in Beirut. It was designated a Foreign Terrorist Organization (FTO) on March 27, 2002. * DATE STARTED/FIRST ACTIVE: Unknown. * GOALS: Increasing its political power in Lebanon, and opposing Israel and the Middle East peace negotiations. * STRENGTH: Several thousand terrorist operatives. * OPERATIONAL LOCATIONS: Operates in the Bekaa Valley, the southern suburbs of Beirut, and southern Lebanon. Has established cells in Europe, Africa, South America, North America, and Asia. * AFFILIATIONS/LINKS: Receives substantial amounts of financial, training, weapons, explosives, political, diplomatic, and organizational aid from Iran and Syria. * COMMENTS: A radical Shia organization founded in Lebanon. A Designated Foreign Terrorist Organization (FTO) listed as "active" during 2000. * GOALS: Drive out the Soviet forces in Afghanistan and against the Qadhafi regime in Libya, declared the Government of Libyan leader Muammar Qadhafi un-Islamic and pledged to overthrow it. * OPERATIONAL LOCATIONS: Probably maintains a clandestine presence in Libya, but since the late 1990s many members have fled to various Asian, Persian Gulf, African, and European countries, particularly the United Kingdom. * AFFILIATIONS/LINKS: al-Qaeda, private donations, various Islamic nongovernmental organizations, and criminal acts. * COMMENTS: Libyans associated with the LIFG are part of the broader international terrorist movement. The LIFG is one of the groups believed to have planned the Casablanca suicide bombings in May 2003. The LIFG claimed responsibility for a failed assassination attempt against Qadhafi in 1996 and engaged Libyan security forces in armed clashes during the 1990s. It continues to target Libyan interests and may engage in sporadic clashes with Libyan security forces. The LIFG constitutes a serious threat to U.S. interests and personnel. * COMMENTS: a Palestinian militant faction founded by Col. Said al-Muragha, better known as 'Abu Musa'. The group is often referred to as the 'Abu Musa Faction'. Officially it refers to itself as the Palestinian National Liberation Movement - "Fatah", the identical name of the major Fatah movement. * GOALS: To establishing an Islamic state in Morocco and supporting al-Qaida's war against the West. * OPERATIONAL LOCATIONS: Morocco, Western Europe, Afghanistan, and Canada. * AFFILIATIONS/LINKS: al-Qaeda, also believed funding by criminal activity abroad. * COMMENTS: Moroccans associated with the GICM are part of the broader international terrorist movement. In November, 13 members of a suspected Belgian GICM cell went on trial in Brussels for allegedly providing material support to the group. GICM is one of the groups believed to be involved in planning the May 2003 Casablanca suicide bombings, and has been involved in other plots. Members work with other North African extremists, engage in trafficking falsified documents, and possibly smuggle arms. In the past, the group has issued communiqués and statements against the Moroccan Government. In the last year, a number of arrests in Belgium, France, and Spain have disrupted the group's ability to operate, though cells and key members still remain throughout Europe. Although the Abu Hafs al-Masri Brigades, among others, claimed responsibility on behalf of al-Qaida, Spanish authorities are investigating the possibility that GICM was involved in the March 2004, Madrid train bombings. * COMMENTS: But the conflict in Algeria was particularly brutal, killing perhaps 150,000 people. It peaked in the 1990s, until an amnesty offer to Islamists in 1999 led to gradual improvements. Violence fell and the country's economy recovered during the early years of the 21st Century. However, the most feared of the militant organisations, the Armed Islamic Group or GIA, rejected the promised amnesty and continued a violent campaign to establish an Islamic state. * DATE STARTED/FIRST ACTIVE: October 1993. * GOALS: Oppose Indian troops in Kashmir. * OPERATIONAL LOCATIONS: Based in Pakistan, but operates mainly in Kashmir. * AFFILIATIONS/LINKS: Collects funds from supporters in Saudi Arabia and other Gulf and Islamic states, and from Pakistanis and Kashmiris. Has been linked to the Kashmiri militant group Al-Faran. See "Army of Muhammad (JEM)." * COMMENTS: The group recruited some of its cadres from the Deobandi madrassas of the Khyber Pakhtunkhwa province, however the ethnic composition changed when the recruitment also began from Azad Kashmir, Punjab and Karachi. Most of the recruits were jobless youths, who were searching for some meaning in their lives. Most of the inductions were done by the roaming jihadist cells, who lured the teenagers to so-called religious sermons imbued with the spirit of jihad, from where the process of induction began. Unlike LeT, HuJI did not require its cadres to go through religious education, rather the recruits proceeded to military training in the camps located in Afghanistan and Pakistan occupied Kashmir. * GOALS: Unite Kashmir with Pakistan. * STRENGTH: Several thousand armed supporters. * OPERATIONAL LOCATIONS: Based in Muzaffarabad, Rawalpindi, and several other towns in Pakistan and Afghanistan, but members conduct insurgent and terrorist activities primarily in Kashmir. The HUM trains its militants in Afghanistan and Pakistan. * AFFILIATIONS/LINKS: Collects donations from Saudi Arabia and other Gulf and Islamic states, and from Pakistanis and Kashmiris. The sources and amount of HUM's military funding are unknown. Leadership has been linked to Osama Bin Ladin. * COMMENTS: Formerly known as the Harakat al-Ansar, the HUM is an Islamic militant group based in Pakistan that operates primarily in Kashmir. Supporters are mostly Pakistanis and Kashmiris, and also include Afghans and Arab veterans of the Afghan war. Uses light and heavy machineguns, assault rifles, mortars, explosives, and rockets. HUM lost some of its membership in defections to the Jaish-e-Mohammed (JEM). Continues to operate terrorist training camps in eastern Afghanistan. A Designated Foreign Terrorist Organization (FTO) listed as "active" during 2000. * DATE STARTED/FIRST ACTIVE: February, 2000. * STRENGTH: Several hundred armed supporters. * OPERATIONAL LOCATIONS: Based in Peshawar and Muzaffarabad, but members conduct terrorist activities primarily in Kashmir. The JEM maintains training camps in Afghanistan. * AFFILIATIONS/LINKS: Most of the JEM's cadre and material resources have been drawn from the militant groups Harakat ul-Jihad al-Islami (HUJI) and the Harakat ul-Mujahidin (HUM). The JEM has close ties to Afghan Arabs and the Taliban. Osama Bin Laden is suspected of giving funding to the JEM. * COMMENTS: The JEM is an Islamist group based in Pakistan that has rapidly expanded in size and capability. Supporters are mostly Pakistanis and Kashmiris, and also include Afghans and Arab veterans of the Afghan war. Uses light and heavy machineguns, assault rifles, mortars, improvised explosive devices, and rocket grenades. NOT a Designated Foreign Terrorist Organization (FTO), but listed as "active" during 2000. * DATE STARTED/FIRST ACTIVE: 1989. * STRENGTH: Several hundred members. * OPERATIONAL LOCATIONS: Based in Muridke (near Lahore) and Muzaffarabad. The LT trains its militants in mobile training camps across Pakistan-administered Kashmir and Afghanistan. * AFFILIATIONS/LINKS: Collects donations from the Pakistani community in the Persian Gulf and United Kingdom, Islamic NGOs, and Pakistani and Kashmiri businessmen. The amount of LT funding is unknown. The LT maintains ties to religious/military groups around the world, ranging from the Philippines to the Middle East and Chechnya through the MDI fraternal network. * COMMENTS: The LT is the armed wing of the Pakistan-based religious organization, Markaz-ud-Dawa-wal-Irshad (MDI) — a Sunni anti-U.S. missionary organization. One of the three largest and best-trained groups fighting in Kashmir against India, it is not connected to a political party. The group has conducted a number of operations against Indian troops and civilian targets in Kashmir since 1993. Almost all LT cadres are foreigners — mostly Pakistanis from seminaries across the country and Afghan veterans of the Afghan wars. Uses assault rifles, light and heavy machineguns, mortars, explosives, and rocket propelled grenades. NOT a Designated Foreign Terrorist Organization (FTO) but listed as "active" during 2000. * STRENGTH: Probably fewer than 100. * COMMENTS: banned by Pakistani President Musharraf in August 2001 as part of an effort to rein in sectarian violence. Many of its members then sought refuge in Afghanistan with the Taliban, with whom they had existing ties. After the collapse of the Taliban, LJ members became active in aiding other terrorists with safe houses, false identities, and protection in Pakistani cities, including Karachi, Peshawar, and Rawalpindi. In January 2003, the United States added LJ to the list of designated Foreign Terrorist Organizations. * OPERATIONAL LOCATIONS: Pakistan, Afghanistan, India, Bangladesh, Jammu and Kashmir. * COMMENTS: HuJI or HJI was formed in 1984 by Fazalur Rehman Khalil and Qari Saifullah Akhtar, as the first Pakistan-based jihadist - Islamic terrorist - outfit, during the Soviet-Afghan War. Khalil later broke away to form his own group Harkat-ul-Ansar (HuA), which later emerged as the most feared militant organization in Kashmir. This group would later re-form as Harkat-ul-Mujahideen (HuM), when HuA was banned by the United States in 1997. HuJI first limited its operations in Afghanistan to defeating the Communists, but after the Soviets retreated, the organization exported jihad to the Indian state of Jammu and Kashmir under the patronage of ISI and the Pakistani establishment. HuJI's footprint was extended to Bangladesh when the Bangladesh unit was established in 1992, with direct assistance from Osama bin Laden. * GOALS: Resistance against the Pakistani army amd enforcement of sharia, and attacks against American and NATO forces in Afghanistan. * COMMENTS: In late December 2008 and early January 2009 Mullah Omar sent a delegation, led by former Guantanamo Bay detainee Mullah Abdullah Zakir, to persuade leading members of the TTP to put aside differences and aid the Afghan Taliban in combating the American presence in Afghanistan. Baitullah Mehsud, Hafiz Gul Bahadur, and Maulavi Nazir agreed in February and formed the Shura Ittehadul Mujahideen (SIM), also transliterated as Shura Ittehad-ul-Mujahideen and translated into English as the Council of United Mujahedeen. In a written statement circulated in a one-page Urdu-language pamphlet, the three affirmed that they would put aside differences to fight American-led forces. The statement included a declaration of allegiance to both Mullah Omar and Osama bin Laden. * GOALS: Promote an independent Islamic state in western Mindanao and the Sulu Archipelago, areas in the southern Philippines heavily populated by Muslims. * STRENGTH: 200 core fighters and more than 2,000 supporters. * OPERATIONAL LOCATIONS: Mainly southern Philippines with members occasionally traveling to Manila. Operated in Malaysia in 2000. * AFFILIATIONS/LINKS: Probably receives support from Islamic extremists in the Middle East and South Asia. Some have ties to Mujahidin in Afghanistan. * COMMENTS: Smallest and most radical of the Islamic separatist groups operating in the southern Philippines. The group split from the Moro National Liberation Front in 1991. A Designated Foreign Terrorist Organization (FTO) listed as "active" during 2000. * GOALS: Al Shabaab was initially set up to protect leaders and group members of the Somali Islamic Courts and to carry our assassinations of foreign targets. * DATE STARTED/FIRST ACTIVE: Qibla: 1980s; PAGAD: 1996. * GOALS: Qibla: Establish an Islamic state in South Africa; PAGAD: Fight drug lords in Cape Town. The two groups share anti-Western stance as well as some members and leadership, and promote greater political voice for South African Muslims. * STRENGTH: Qibla: 250; PAGAD: at least 50 gunmen, and larger than Qibla. * OPERATIONAL LOCATIONS: Cape Town, South Africa. * AFFILIATIONS/LINKS: Probably have ties to Islamic extremists in the Middle East. * COMMENTS: Often uses names such as Muslims Against Global Oppression (MAGO) and Muslims Against Illegitimate Leaders (MAIL) when launching anti-Western campaigns. NOT a Designated Foreign Terrorist Organization (FTO), but listed as "active" during 2000. 41. NAME: Liberation Tigers of Tamil Eelam (LTTE) Other known front organizations: World Tamil Association (WTA), World Tamil Movement (WTM), the Federation of Associations of Canadian Tamils (FACT), the Ellalan Force, the Sangilian Force. * DATE STARTED/FIRST ACTIVE: 1976. * GOALS: Establish an independent Tamil state. * STRENGTH: 8,000 to 10,000 armed combatants in Sri Lanka, with a core of trained fighters of approximately 3,000 to 6,000. Has significant overseas support structure for fundraising, weapons procurement, and propaganda activities. * OPERATIONAL LOCATIONS: Sri Lanka. * AFFILIATIONS/LINKS: Lobbies foreign governments and the UN. Uses its international contacts to procure weapons, communications, and any other equipment and supplies it needs. Exploits large Tamil communities in North America, Europe, and Asia to obtain funds and supplies for its fighters in Sri Lanka. * COMMENTS: A Designated Foreign Terrorist Organization (FTO) listed as "active" during 2000. * DATE STARTED/FIRST ACTIVE: 1967. * GOALS: Oppose current negotiations with Israel. Promote national unity and the reinvigoration of the PLO. * OPERATIONAL LOCATIONS: Syria, Lebanon, Israel, and the occupied territories. * AFFILIATIONS/LINKS: Receives safe haven and some logistic assistance from Syria. * COMMENTS: Joined the Alliance of Palestinian Forces (APF) to and suspended participation in the PLO. Broke away from the APF, along with the DFLP, in 1996 over ideological differences. A Designated Foreign Terrorist Organization (FTO) listed as "active" during 2000. * DATE STARTED/FIRST ACTIVE: 1974. * GOALS: Establish an independent Kurdish state in southeastern Turkey, where the population is predominantly Kurdish. Improve rights for Kurds in Turkey. * STRENGTH: 4,000 to 5,000, with thousands of sympathizers in Turkey and Europe. * OPERATIONAL LOCATIONS: Turkey, Europe, and the Middle East. * AFFILIATIONS/LINKS: Has received safe haven and modest aid from Syria, Iraq, and Iran. The Syrian government expelled PKK leader Abdullah Ocalan and known elements of the group from its territory in October 1998. * COMMENTS: In the early 1990s, the PKK moved beyond rural-based insurgent activities to include urban terrorism. The group now claims it would use only political means to achieve its goals. A Designated Foreign Terrorist Organization (FTO) listed as "active" during 2000. * DATE STARTED/FIRST ACTIVE: 1978. * GOALS: Uphold Marxist ideology and demonstrate its anti-U.S. and anti-NATO stance. * OPERATIONAL LOCATIONS: Turkey, primarily in Istanbul, Ankara, Izmir, and Adana. Raises funds in Western Europe. * DATE STARTED/FIRST ACTIVE: Early 1980s. * GOALS: Purify Islam through violence. * OPERATIONAL LOCATIONS: North America, Pakistan. * COMMENTS: Members have purchased isolated rural compounds in North America to live communally, practice their faith, and insulate themselves from Western culture. * DATE STARTED/FIRST ACTIVE: Unknown..
* GOALS: Oppose Uzbekistani President Islom Karimov's secular regime and establish an Islamic state in Uzbekistan. * STRENGTH: Militants probably number in the thousands. * OPERATIONAL LOCATIONS: Militants based in Afghanistan and Tajikistan. Area of operation includes Uzbekistan, Tajikistan, Kyrgyzstan, and Afghanistan. * AFFILIATIONS/LINKS: Other Islamic extremist groups in Central and South Asia. * COMMENTS: A U.S. Designated Foreign Terrorist Organization (FTO) listed as "active" during 2000. * GOALS: It seeks to topple the Saudi monarchy and Yemeni government, and establish an Islamic caliphate. * COMMENTS: It has claimed responsibility for a number of attacks in the two countries over the past 12 months. So, who said that Islam means peace?